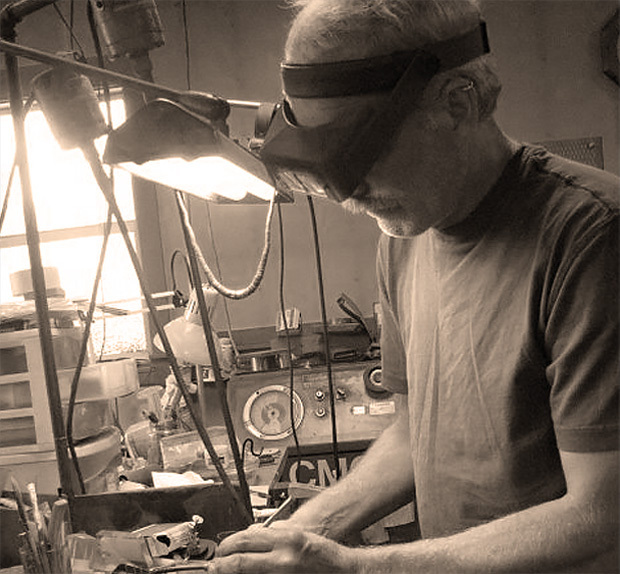 Platinum is known for its “durability,” meaning its ability to stand the test of time. The inherent qualities of metals in the platinum family, including palladium, enable the metal to stay relatively intact when damaged. Platinum wears much better than gold in that when the metal is scratched or dinged, it simply is displaced rather than lost. It is softer than gold, however, and will show scratches more quickly. Platinum is more durable than gold in the long run. Palladium is softer than gold, but not as soft as silver. Like platinum, the metal of palladium will be displaced, rather than lost, when scratched. Palladium is much lighter in weight than platinum, however, and will scratch and bend more easily. 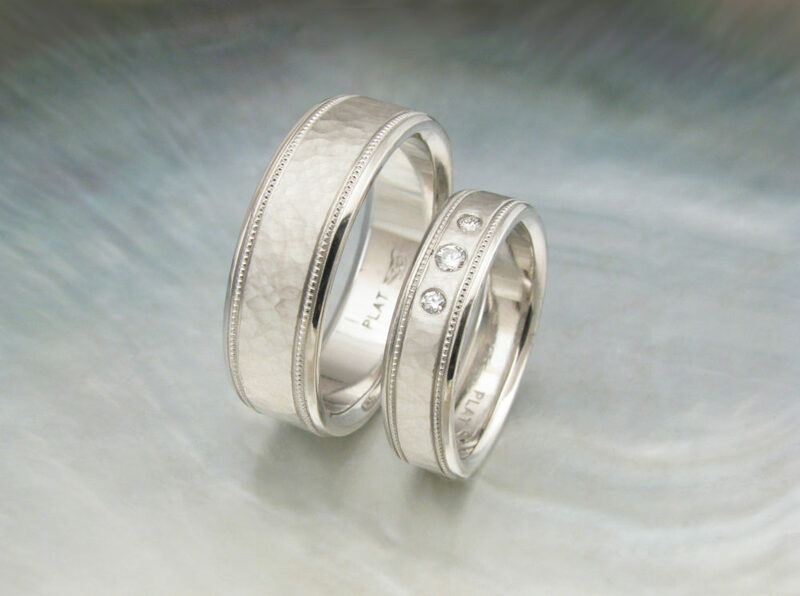 We recommend against silver for wedding bands because it is a softer metal. It is not nearly as strong or durable as gold or platinum. White gold, when alloyed with X1 or similar alloys, is extremely hard and scratch resistant. Nevertheless, when scratched or worn, the metal will be lost and is therefore not considered as durable as platinum. Of all of the colors of gold, however, white gold is the most durable; followed by yellow gold, and then rose gold. Higher karats of gold are generally softer. With rose gold and yellow gold, the durability factor decreases inversely with the increase in amount of pure gold. White gold, when alloyed with X1 and similar alloys, does not appear to follow this principle, however, as 18k and 14k white gold are equally hard and scratch resistant.